Take action now to get the Sydenham Greenway built! The Sydenham Greenway idea has hit the headlines in the last few months. A public petition was launched by Northern Ireland Greenways to raise awareness of the potential project which gained over 3,000 signatures in a matter of weeks over Easter. Belfast City Council took notice of the petition and Councillors George Dorrian and John Kyle brought a motion on the greenway plan. However the time has come to launch phase two of our efforts to ensure the project proceeds. The spark for the petition and latest campaign was the proposed Tillysburn Park and Ride scheme from the Department for Infrastructure (DfI). Despite bordering the proposed Sydenham Greenway route, and two DfI strategies specifically adopting the Sydenham Greenway as a planned active travel corridor, they omitted this pathway from the Park and Ride scheme. A huge missed opportunity. However, as there is a public consultation on the Park and Ride scheme, this offers you the opportunity to comment. And in this case, object to the scheme proceeding further unless there is a greenway included in revised plans. To do this you’ll need to send an email to the Department by 5pm on Wednesday 9th May 2018. 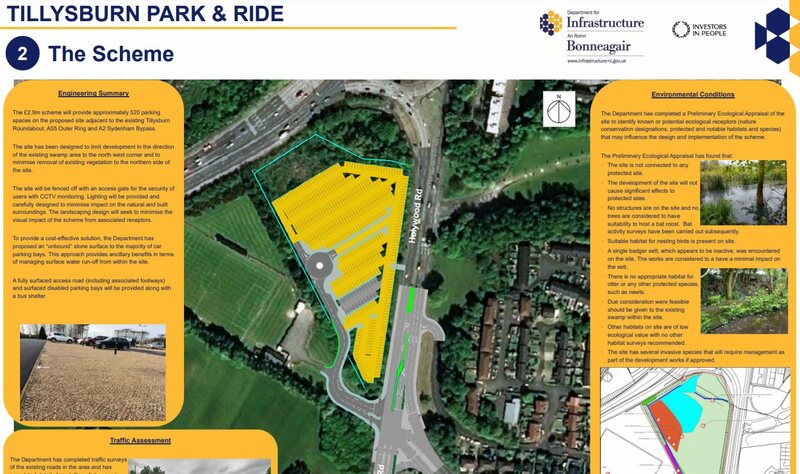 View the Tillysburn Park and Ride consultation documents on the Department for Infrastructure website. Luckily for you we’ve prepared a handy email template for an objection. This states the main reasons why DfI should have included the Sydenham Greenway in this plan, and wording to make your objection to progress on the scheme unless changes are made. Just cut and paste, and then send to the address below before the deadline. Feel free to alter and amend the text to suit your own views on the wider scheme. Many people will object to the Park and Ride scheme in itself, others may wish for it to proceed once a greenway route is integrated. I welcome the opportunity to comment on the Tillysburn Park and Ride consultation. I wish to formally object to the scheme in the form laid out in the documents published on 12 March 2018. 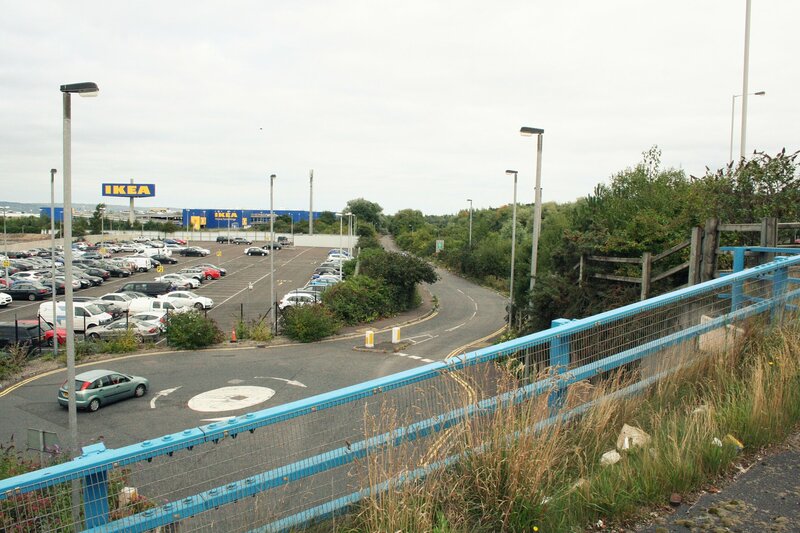 The Tillysburn Park and Ride scheme borders on the route of the proposed Sydenham Greenway, a traffic-free pathway which would connect the greenways of Belfast to the North Down Coastal Path. That the Department omitted any reference to the greenway in the Tillysburn Park and Ride is of great concern to me. Since you launched your consultation, more than 3,000 people have signed a petition to demand the Sydenham Greenway project should go ahead. The bike shelter in your current scheme plan doesn’t tick the box. You are the Department tasked with getting more people travelling without the need for a car. Instead of weaving that aim into scheme designs, you continue to ignore cycling and walking connections. Members of the public should not have to keep holding you to this basic responsibility on every scheme you design. It is my considered view that the Tillysburn Park and Ride scheme must not proceed in the absence of a greenway link along this important transport corridor. This is your reminder that active travel is transport. I look forward to receipt of your revised scheme plan by return email. Thank you for your continued support. By concerted public action, we will get the Sydenham Greenway built!